For years there’s been pressure on fashion retailers in the West to investigate and remedy their labor practices overseas, owing in large part to to the collapse of the Rana Plaza building outside Dhaka in 2013, a disaster that killed 1,134 people. A new report out of the Blum Center for Developing Economies at the University of California, Berkeley, titled “Tainted Garments” reveals that brands have been shirking these responsibilities by failing to regulate the exploitation of women and girls who work from home in India, the world’s second largest manufacturer and exporter of fashion products. The report’s author, Siddharth Kara, an activist and expert on modern slavery, spoke to 1,452 home workers in the course of research. He found that 85 percent of these workers are employed in supply chains that manufacture garments exported to the United State and European Union; the rest labor in a mix of domestic and export production. 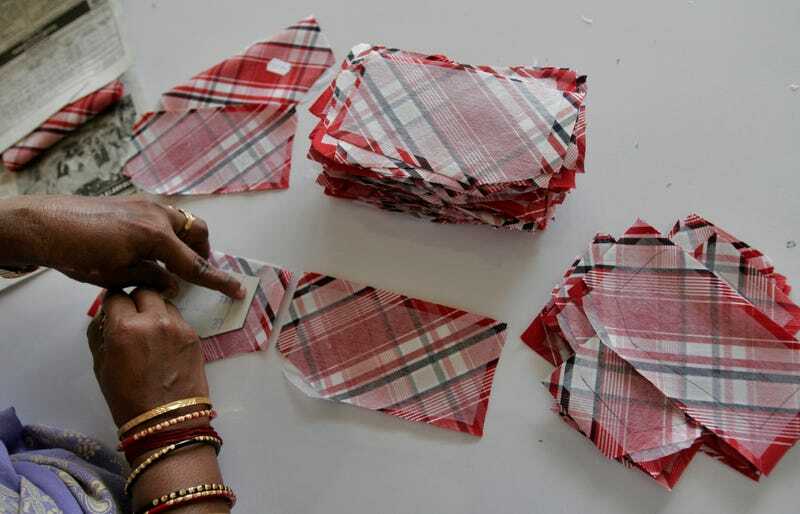 Of course the brands and companies who employ the workers mostly claimed to be unaware of the home workers who craft their products (most are tasked with creating embellishments for garments, according to the report). Though Kara notes that the foreign brands that perpetuate these practices are “largely household names,” the report did not identify them in the hopes they would not eliminate these unjust jobs, whose wages women and families rely upon. In its concluding section, the report offers a range of recommendations to improve labor practices and conditions including forming a home-based garment work union, increasing and enforcing minimum wages, increasing investigations and prosecutions of exploitative management, payment for overtime work, and increased consumer awareness.